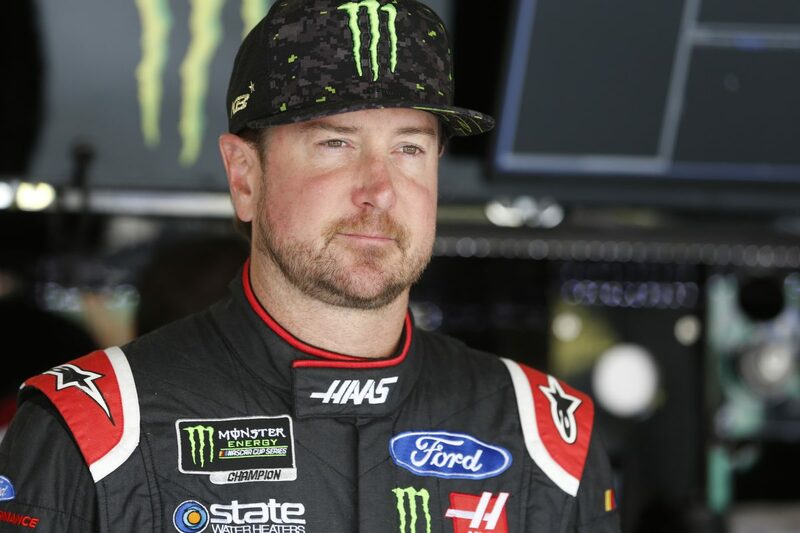 Kurt Busch has found victory lane on nearly every type of circuit the Monster Energy NASCAR Cup Series offers. From the shortest racetrack – Martinsville (Va.) Speedway – to the road course at Sonoma (Calif.) Raceway, the driver of the No. 41 Haas Automation Ford Fusion for Stewart-Haas Racing (SHR) had won at almost every type of track. He’s won on racetracks ranging in length from .526 of a mile, .533 of a mile, .75 of a mile, 1 mile, 1.5 miles, 1.99 miles, 2 miles and 2.5-miles. He’d celebrated in victory lane at the high-banked ovals and flat tracks. He’s found his way to victory lane at 15 of 23 active racetracks and one of those 15 is Sonoma, site of Sunday’s Save Mart 350k. And has he been good at Sonoma. Busch has one pole, one win, four top-threes, seven top-fives, eight top-10s and has led a total of 197 laps in his 17 career NASCAR Cup Series starts at Sonoma. His average start is 9.4, his average finish is 14.1 and he has a lap-completion rate of 99.1 percent, completing 1,862 of the 1,879 laps available. Busch’s seven top-fives at Sonoma puts him in a tie with his SHR teammate Clint Bowyer for the most of all active NASCAR Cup Series drivers. Busch’s only road-course win in the Cup Series came at Sonoma in 2011 and it was a dominant victory as he led a race-high 76 laps. He passed Denny Hamlin for the lead on lap 13 and stayed out front for the next 19 circuits around the 1.99-mile track. He relinquished the lead twice for scheduled, green-flag pit stops and took over the top spot for the final time on lap 88, then led the final 23 laps. He’s even had success at Sonoma in the NASCAR Southwest Tour Series, finishing third in 1998 after starting 19th and winning the 1999 race after starting third. Busch is coming off a historic 1-2-3 finish for SHR two weeks ago at Michigan International Speedway in Brooklyn. Bowyer won the event with Kevin Harvick second and Busch third. Busch is hoping he can score his first victory of 2018 this week at Sonoma. We used to see supposed road-course ringers show up at Sonoma and Watkins Glen, but that’s pretty rare now. Why do you think that is? You’ve proven to be a pretty good road-course driver. Was it something you took to right away or did you really have to work at it to enjoy the success you’ve had? You mentioned that racing Legends cars was how you were first introduced to road-course racing. Where did you race? You won the 1999 NASCAR Southwest Tour race at Sonoma. Was that your first road-course win in a stock car? Was it a pivotal victory considering NASCAR teams were there and you were able to showcase your talents to Cup Series car owners and crew chiefs? How important is it to have a positive mindset when you come into a road-course race? What do you like best about road-course racing? Is there more opportunity on a road course because mistakes are magnified and because the race is more in the driver’s hands?